The myBigBrag SLIDE SHOW is a professional, exciting way for people to celebrate and enjoy their holidays or travels with friends and family. We can animate your still photos to create movement and add sound FX and music to really thrill your audience. Captions are added so any viewer knows the full story. We can combine your movies and still shots to create an exciting production. Output can be in Powerpoint, Keynote, Pdf or movie formats. 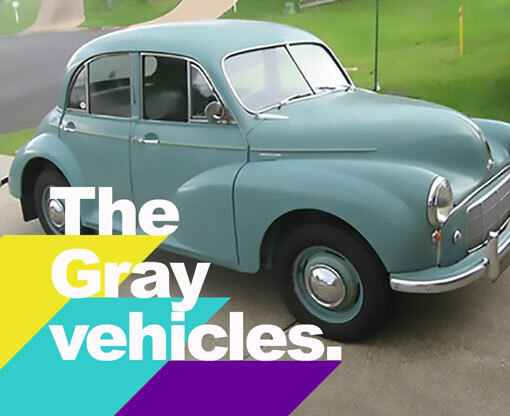 This little video is created to whet your appetite for a full sized production. Imagine your family album starting like this! There is plenty of FREE or inexpensive apps out there to create movies. But the big problem is — poor image input — poor movie quality. Apps like Adobe Spark Video, for example are simple to use but ONLY work in a limited way and ONLY with the quality of your photos as they are! So how about thinking of your family photo albums as movies instead of picture books? You supply the original images in whatever format you have them in. From small prints, 35mm sides, scratched prints, black & white prints or colour prints, we can create the following amazing slideshows. We scan, restore the images, and add important graphics to highlight the importance of the show. 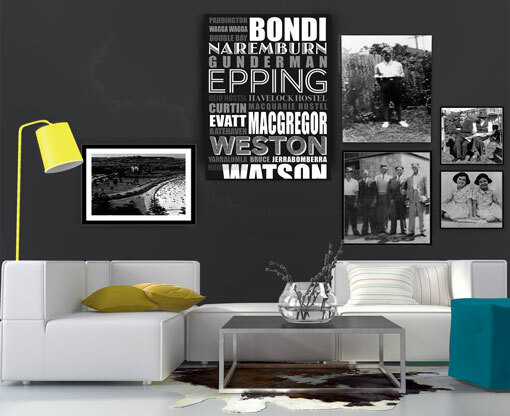 You tell us a little about your family history and we create your own personalised graphics like the example shown here. Animated graphics to enhance your history. Colour added to those boring black & white images. We add all your photos with captions or descriptions — if you supply them — to create a professional slideshow for you to show an any device. TV, iPad, phone or electronic frame, they are all able to play our shows. And we provide them in 4K quality! That means you can show them on your latest 75” TV! And at very competitive prices*. Below you will see a sample I created in Spark Video. It was created quickly and easily — after I had restored the images — with the iPad app. I am showing it here as a link because I also have Adobe Creative Suite membership. You can create a movie like this yourself for free. And to produce the best movie, have us scan and restore your photos first. We will supply you the high quality photos ready to use. And we can create an interesting graphic start for you!